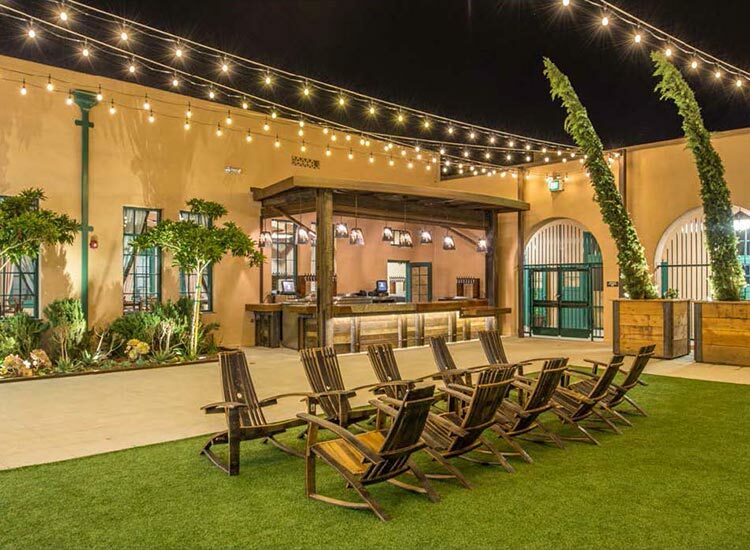 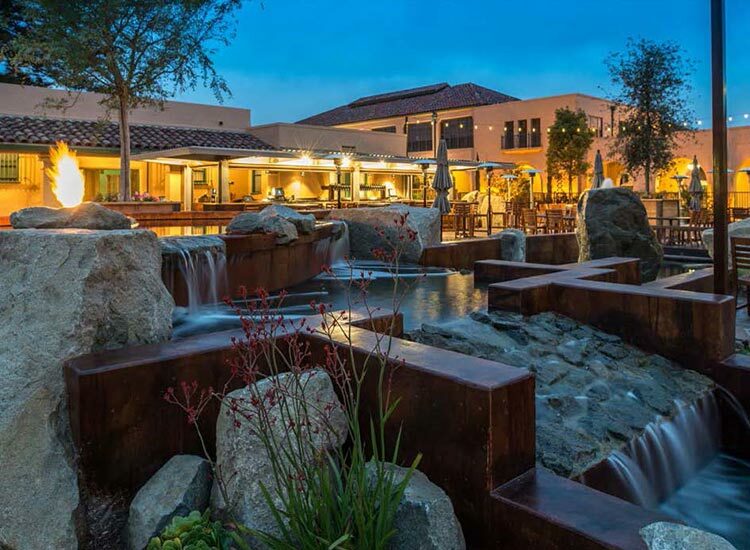 Stone Brewing World Bistro & Gardens is located in San Diego’s Point Loma community and encompasses more than 23,500 square feet of indoor and outdoor dining areas and bars, as well as a bocce ball court, an outdoor cinema space and an expansive outdoor dining garden. 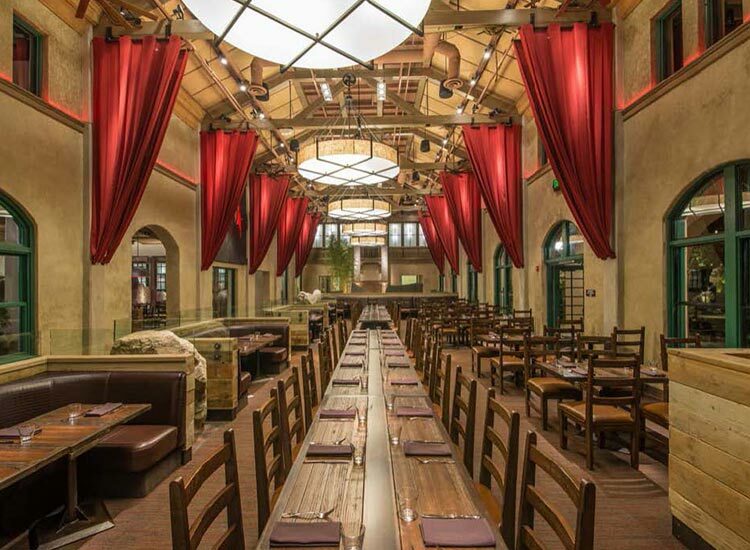 The interiors of historical Building 1 at Liberty Station – formerly the Naval Training Center — were transformed to create a festive yet casual atmosphere. 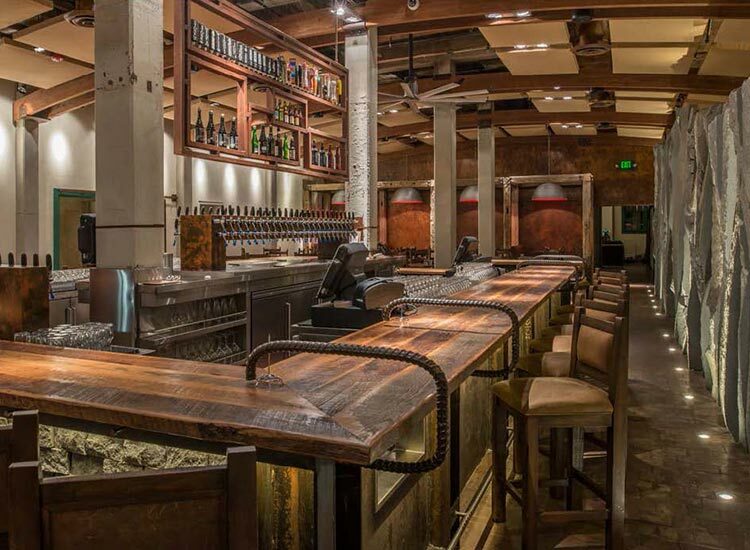 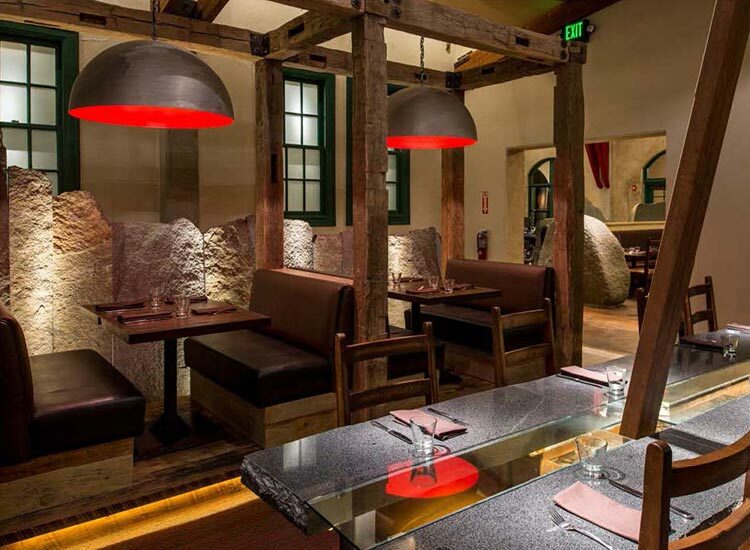 The restaurant design also integrated numerous reclaimed construction materials found on-site and regionally.